Ok we all know that children this day and age have more technology than any other generation combined. I know I say this frequently and I've heard others say the same thing but when I was little we used spend every waking moment outside riding bikes and playing sports or doing WHATEVER just to be outside. Now because of cell phones, computers, and video games it almost seems like you have to add play/exercise time outside to the chore list. This is just yet another reason why the child obesity rate is so out of control. I know we've discussed before the importance of setting a great example for our little ones but now a days there are so many things we as parents have to worry about. I have a husband who is a huge gamer and unfortunately it is already rubbing off on my youngest two boys. I am not happy so anything that helps deter them I am going to be very much into. In my opinion we can start teaching children young about things like portion control, good and bad foods, and most importantly keeping active. At a recent trip to the International Women's show I discovered the brand Eat to Win Games and I just knew this was something I had to share with all of you! Thankfully the folks over at Eat to Win sent me over a few of their games to review! "Eat to Win was created by a concerned mom whose own child struggled with being overweight. Child obesity in America has become a major issue. An unhealthy lifestyle is a common problem among children and adults. 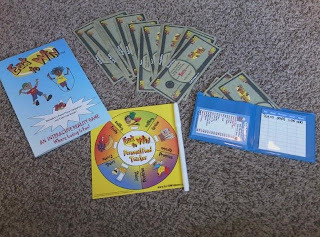 Eat to Win was created to help encourage nutrition and exercise in fun and active games." 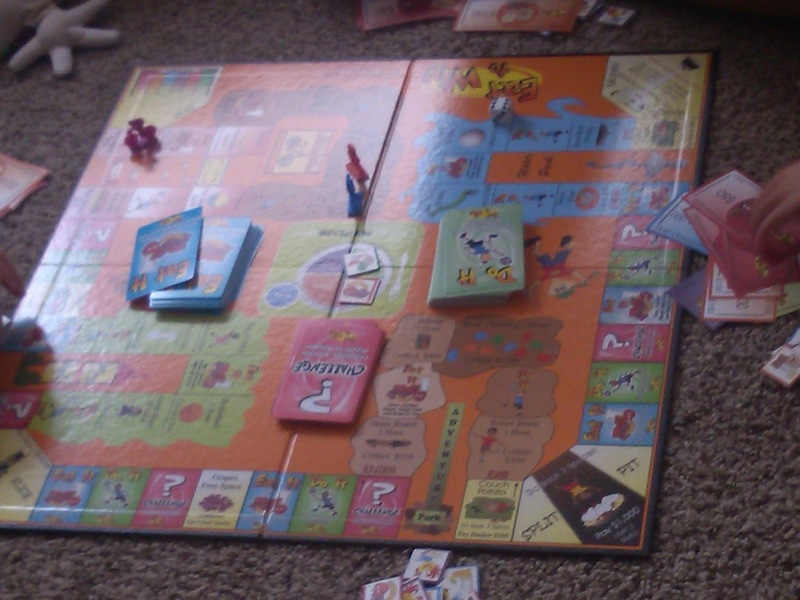 They sent me over their Classroom Edition Flash Cards, Eat To Win Board Game, and Eat To Win Kid's Reality Edition. a questions of healthy eating and exercise as well as completing different activities such as jumping jacks and marching in place. If you don't want to do the activity, you have to pay! Whoever has the most money in the end wins! The Classroom Edition Flash Cards can be used along with the board game or just as a flash card system with your children or larger groups! The Eat To Win Kid's Reality Edition is really more of a rewards/chore system where children "learn to make better choices by paying for their food." 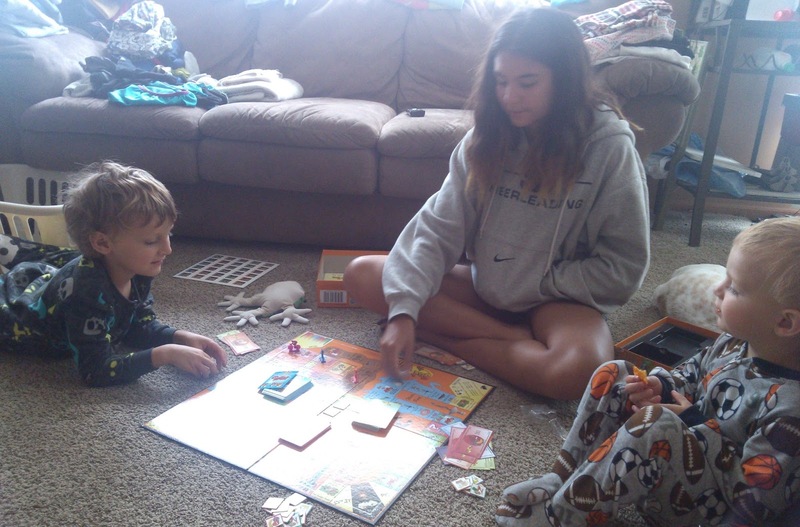 They are rewarded almost an allowance for completing those healthy tasks and healthy eating. There is even a wallet for them to keep their money in. 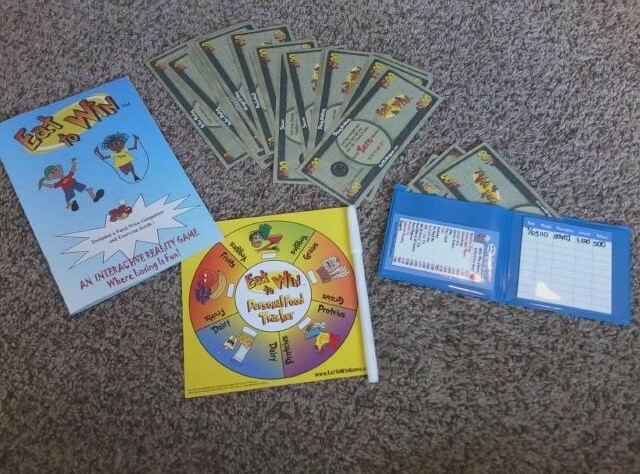 Honestly my children loved the Eat to Win game! All three of them enjoyed playing actively together (ages 2, 5, 15) Funny thing is Dane (5) knew the answers to most of the questions and did really well and he is my pickiest eater of all. I thought it was great because this was something which helped motivate me more too. Not only did this give me a game which I could enjoy playing with the kiddos but it got me up and moving around too! Recommendation: I thought this was very cute and kept the children into it every moment we had it out of our game closet. Cost wise I think these are right in line with any other games and you are getting more bang for the buck with the education and motivation that comes alongside playing these. Giveaway: Eat To Win Board Games is going to give one of A Lucky Ladybug's lucky readers Eat To Win Kid's Reality Edition and Eat To Win Board Game of their own! I just found your blog and enjoy it. It's hard for me to find how to enter some of your giveaways though.